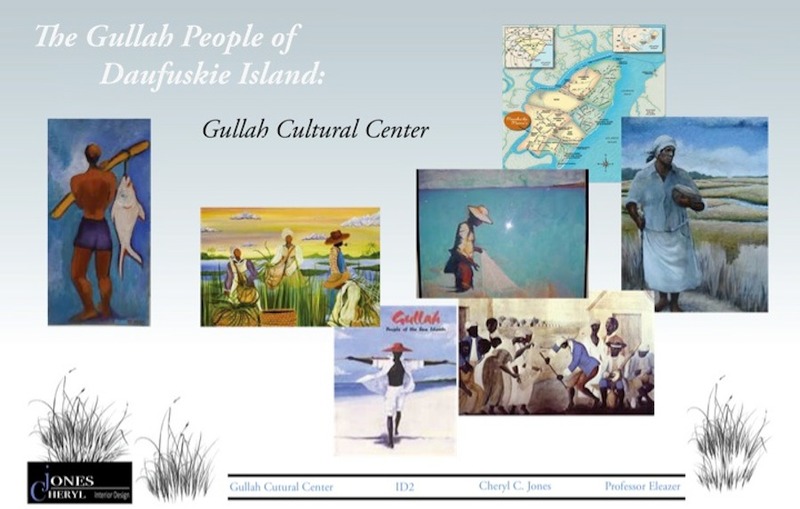 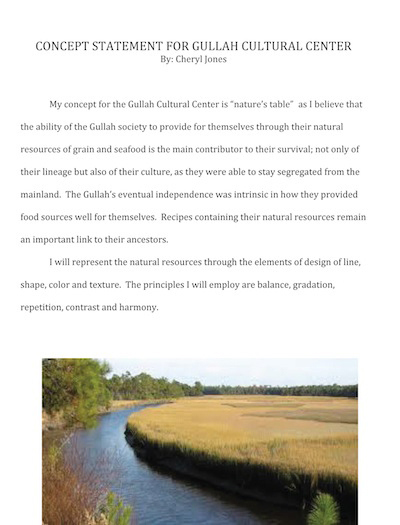 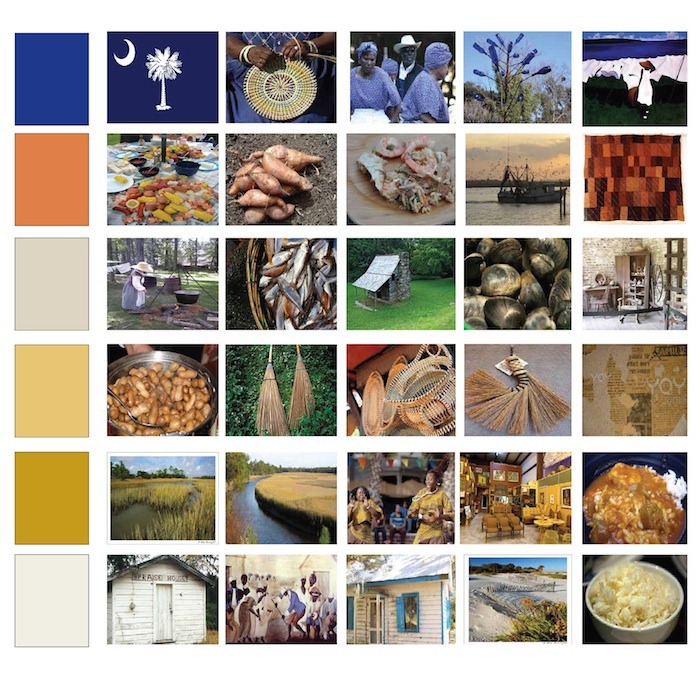 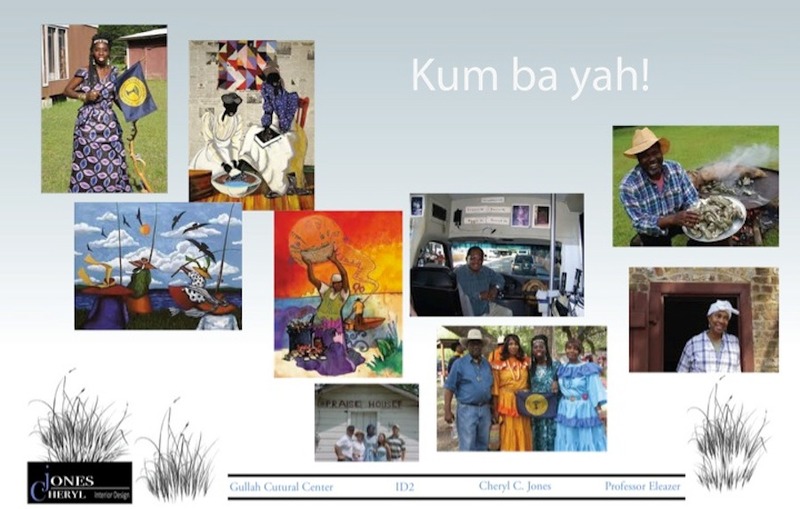 Cultural center for the Gullah culture on Daufuski Island, SC. 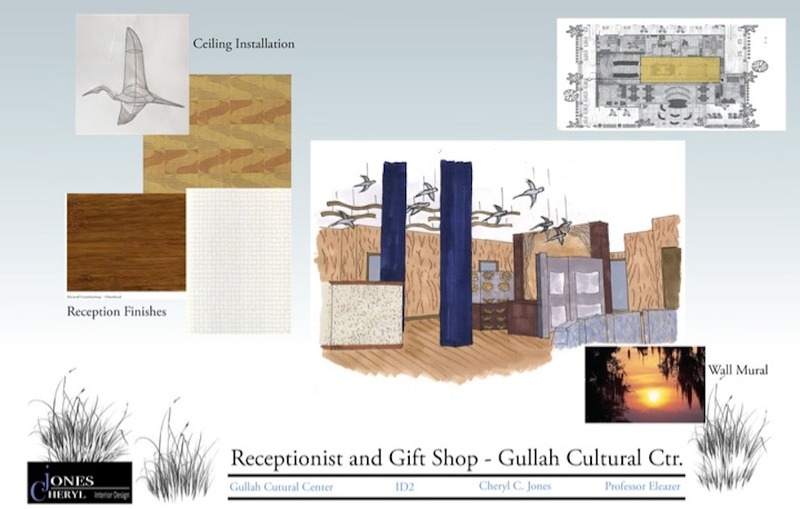 Gift Shop Area rendering of Gullah Cultural Center. 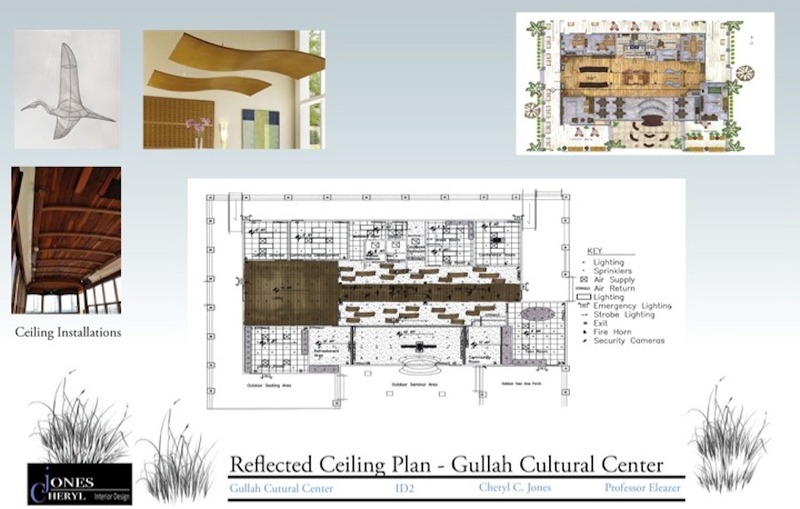 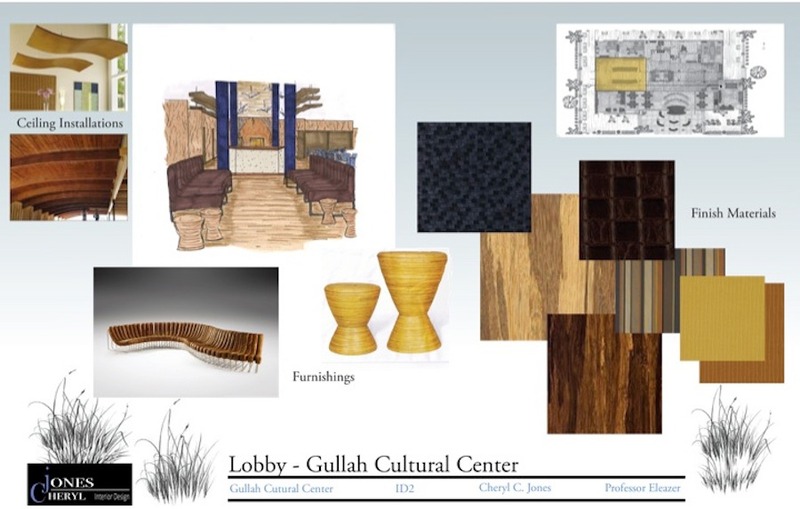 Lobby rendering of Gullah Cultural Center. 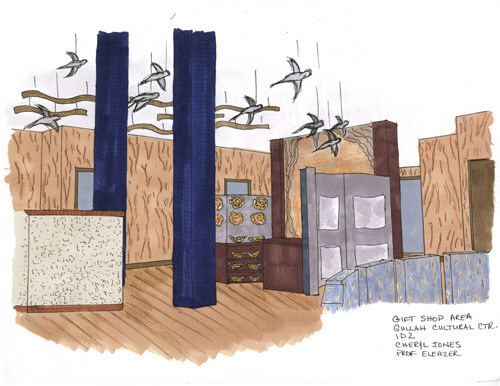 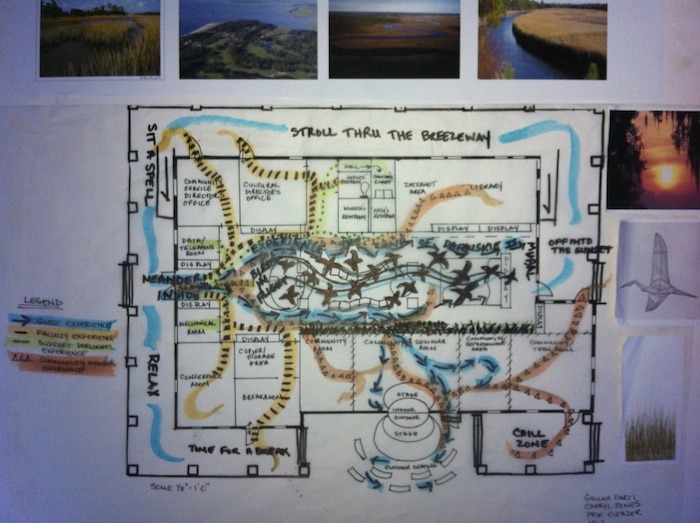 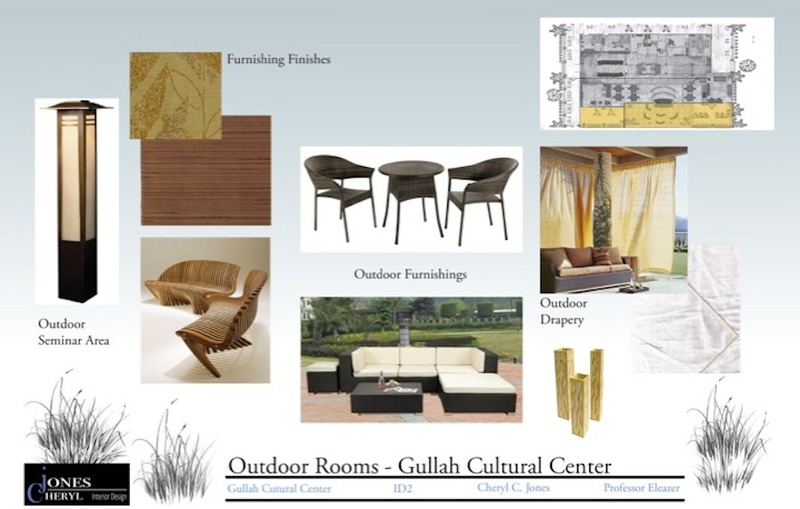 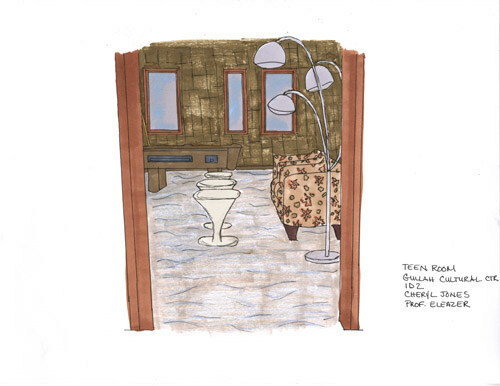 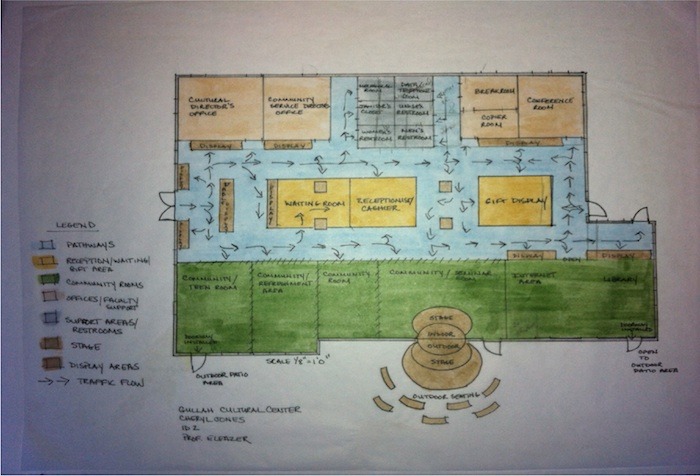 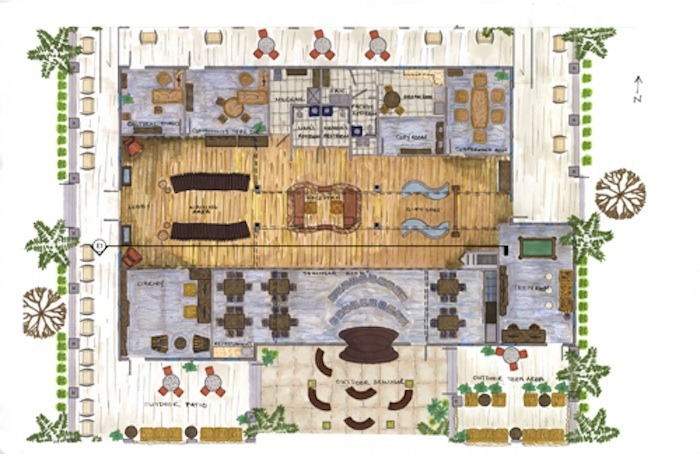 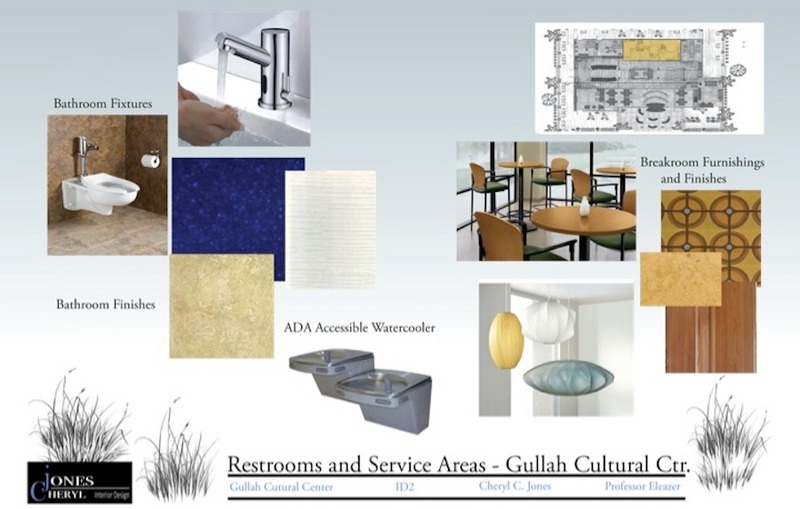 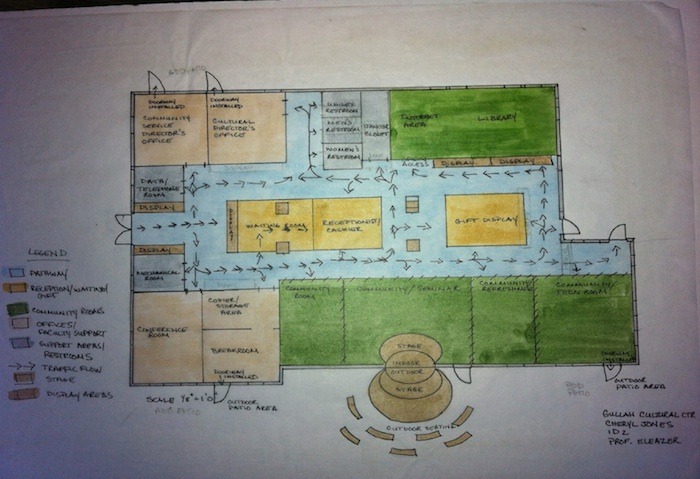 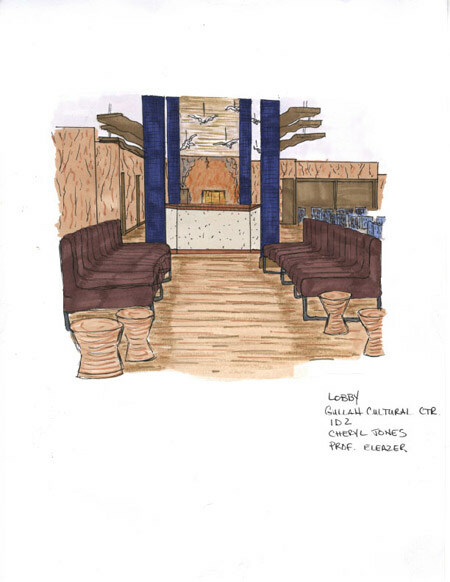 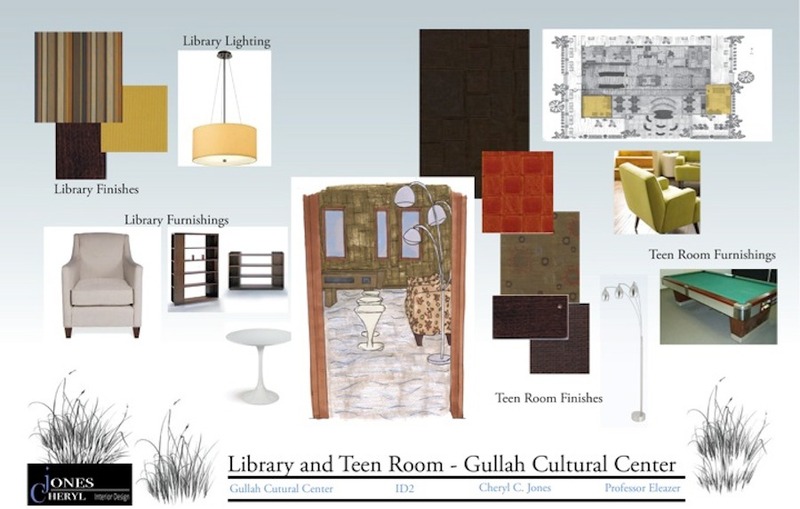 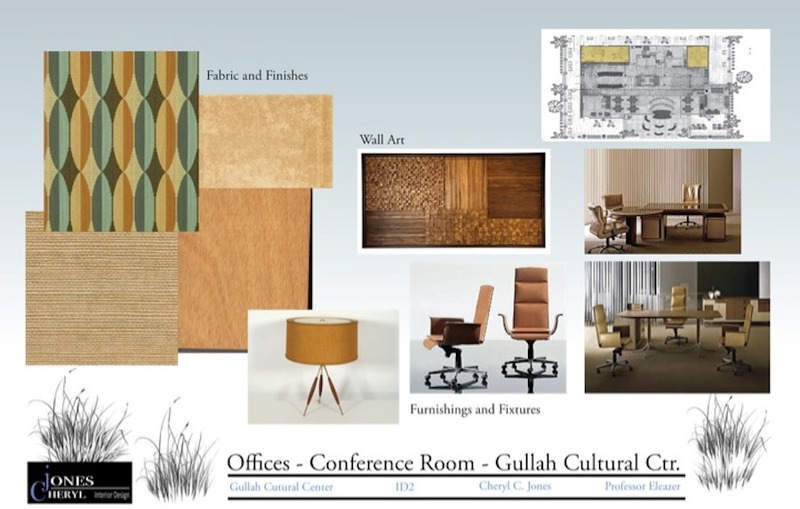 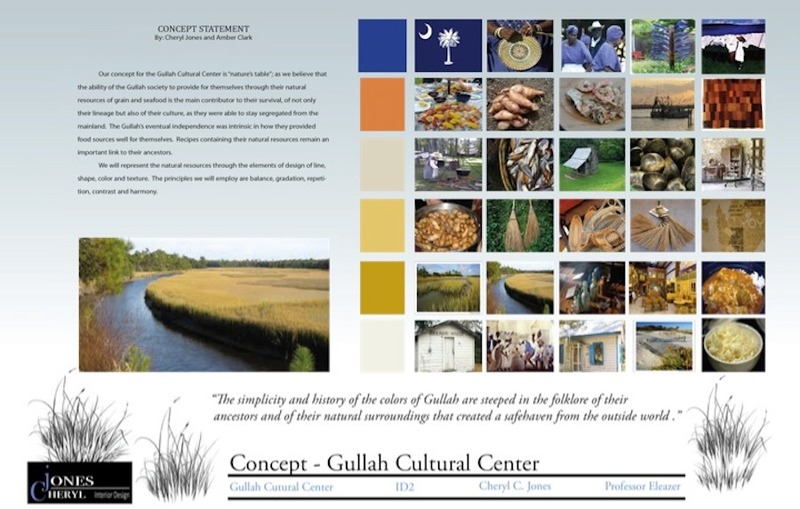 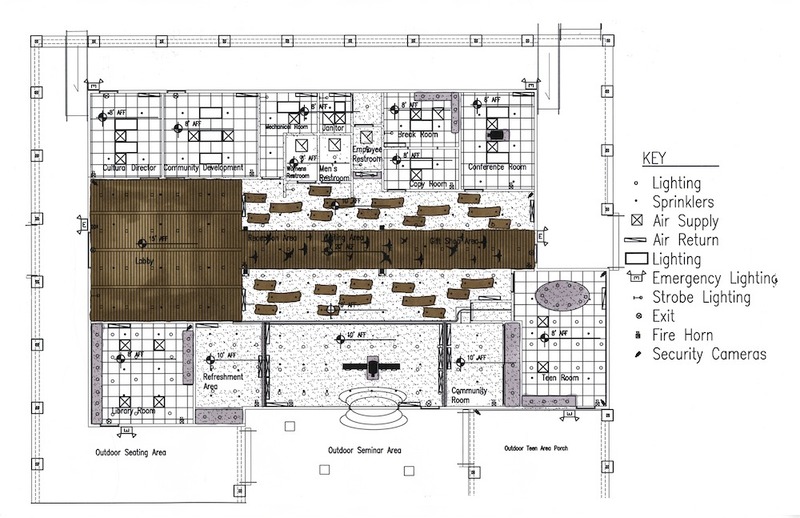 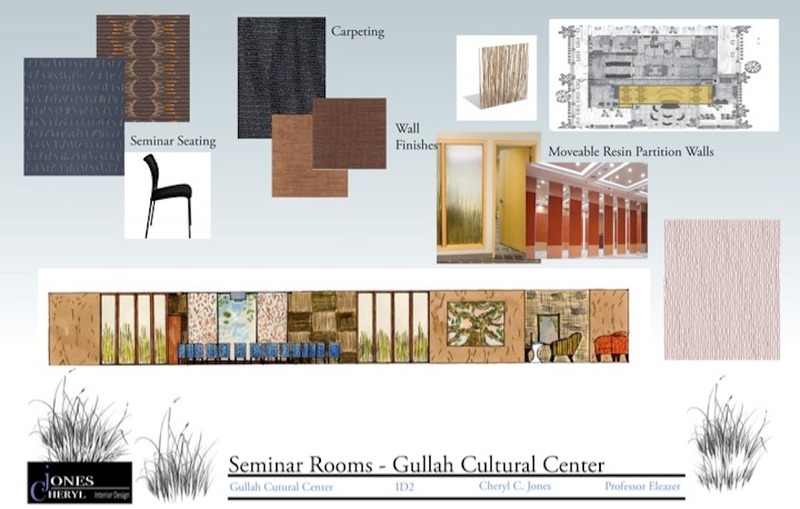 Teen Room rendering of Gullah Cultural Center. 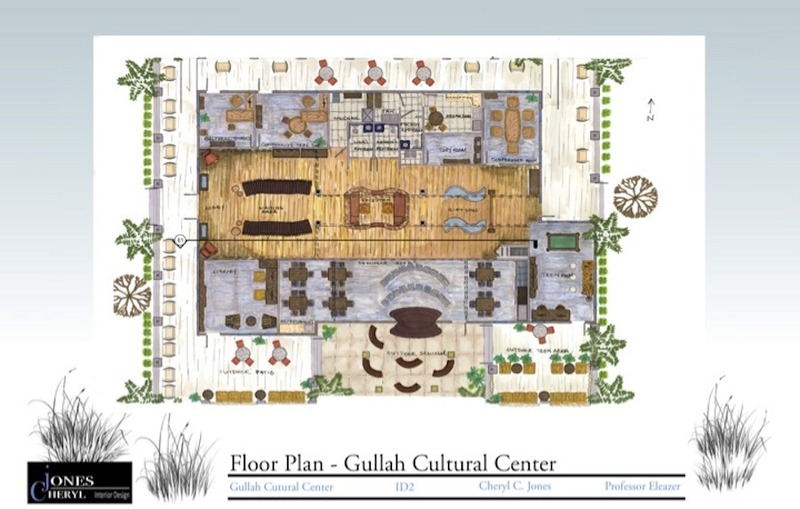 East-West Elevation of Gullah Cultural Center.